The idea of 1989 as an annus mirabilis in which everything changed is too crude, writes Karl Schlögel. Rather, it was the result of a long incubation period that took a very different course in each Eastern Bloc country. 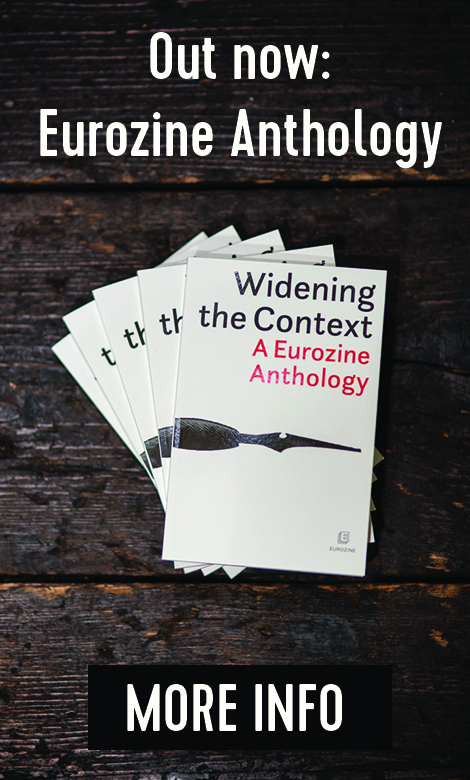 In a benchmark essay for the twentieth anniversary celebrations, Schlögel stresses the entanglements and ambiguities of postwar history and asks whether it is too soon to start talking of a “common European history”. Leipzig is a very good place from which to approach eastern Europe.1 For those coming from further west the city is a halfway stop, even if the train connections are not as good as perhaps one might have hoped twenty years ago, when the Iron Curtain disappeared. Leipzig is connected to eastern Europe and its history by a thousand threads – one need only think of the foundation of its university, or of the long-distance trade routes. At their intersection arose the trade fair, which during the Cold War became a sluice chamber, a contact yard between the hemispheres that opened for a moment every year. And consider the renewed interest in eastern Europe in Leipzig today, its book fair and its academic and research institutions, which have become trademarks of the city. So why should anyone from outside take the trouble of essaying an approach to the East in a place which is already so close – geographically, culturally, and academically? All the more so, since the topic of this conference is general and does not imply a question to which one must provide an answer. The chain of ideas “History of memory, places of memory, strata of memory” is more a set of associations and is intended to delimit an area. – “History of memory” stands for the far from trivial and often forgotten insight that memory itself has a history, a historical place. To understand this encourages us to be cautious and modest. 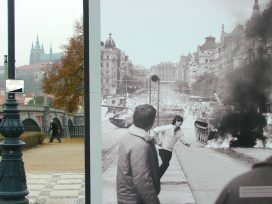 – “Places of memory” stands for the fact that all memory is attached to places where history took place. This insight teaches us an attitude and perception appropriate to the concreteness and complexity of the world. – “Strata of memory” is the term that brings both of these together, place and time, as a “chronotope”, to quote Mikhail Bakhtin, which can be exposed and explored in a quasi-archaeological procedure. What is here subdivided into history of memory, places of memory, and strata of memory can be summed up or condensed in the questions: How do the Europeans in their reunited continent deal with their divided and variously specific memories? What does it mean for western Europeans, and Germans in particular, to familiarise themselves with the memories of “the other”? What is the likelihood of a common European culture of memory? Is something like a European space of memory conceivable? It is almost unbelievable that it is already twenty years since 1989 – that is the span of a generation. There are secondary schoolchildren and students for whom it is all literally prehistory. To us – in whatever way we may have been there – it seems like yesterday. Who still remembers that when we were students in West Berlin the underground trains passed through stations that were walled up and patrolled by border guards? Who even knows now exactly where the wall ran? And who remembers a Polish market in the place where the new Potsdamer Platz now stands – a sandy expanse with parked trailers and a magnetic railway that led nowhere, the Philharmonic Hall and the State Library at its edge like space ships in a border landscape? Everyone can add examples of their own: at the Viadrina University in Frankfurt-on-the-Oder there are now Polish students who were born after Solidarity and not particularly interested in it, but who are also older than the glittering skyline of downtown Warsaw. Another example: once all roads passed through Moscow, but now one flies from Rostov-on-Don direct to Dubai or the Canary Islands. It is just twenty years ago that, in order to make a phone call abroad in the Central’nyj Telegraf, the Central Telegraph Office in Moscow, one still had to fill out forms and queue for hours. That was in the pre-mobile phone age. Shortly after that, at the end of the eighties, there public debates in which, for the first time, something was really at issue; unforgettably, meetings of citizens took place on a semi-sacred square on which previously only military parades had taken place. Or the moment a mayor – Anatoly Sobchak in Leningrad/St. Petersburg – addressed the citizens of his city as “Ladies and Gentlemen”. The spirit of a citizens’ revolution was blowing through eastern Europe. Since then much has changed once again. We have already got so used to the new state of affairs that we have forgotten the long agony and the short summer of anarchy. Forgotten, too, that war returned to Europe for the first time. Twenty years is a long time, but also a short time if one is talking about long-term memory, about longue durée. Its intervals are not those of parliamentary terms, of prime ministers and chancellors, but of generations or even epochs. Just as in 1989 the horizons of whole generations dissolved, so new ones have appeared. It would be strange if, along with these fundamental alterations, our memory, our understanding of the past also did not change. There is nothing alarming about that, it is only proof of the liveliness of our historical consciousness, that each generation makes a fresh picture of the past for itself, asks new questions of the past, appropriates it anew, indeed must appropriate it anew. The following reflections are those of someone who lived through 1968 and 1989 as an adult, but whose formative experience of Europe was the border. I count myself part of the Marienborn generation:2 those whose internal map was shaped by the experience of the border. By the train, which is stopped and inspected, where one was asked the mindless and never-changing questions about explosives and firearms, where literature was confiscated by border guards who themselves would gladly have travelled across the border if only they had been able to. The turning point of 1989 opened up a new space of experience. The coordinates that post-war generations grew up with have changed fundamentally. Suddenly there was no East or West any more, but something in-between, central Europe. Cities that had been inaccessible became close. Cities and landscapes that one knew only from literature, from films or from family stories were all at once within reach.3 It was possible to move and look around in them. With this opening, almost everything else changed: the space of experience, the radius of action, holiday plans and perhaps even life plans. Now one could study in Prague and Krakow and not just in Montpellier or Oxford. It is the long-term, inconspicuous changes that leave their mark: the development of new axes between the European centres. Thus, for some time now, other routes and axes have been leading across the old nation-state boundaries, metropolitan corridors, high speed zones, high tech zones, zones of plastic money, Internet and a way of life that is identical wherever one goes. This new Europe is held together by new networks, established day by day, in which goods, people and ideas circulate, powerful surface currents between Rotterdam and Moscow, between Malmö and Rome, on which the routines of the whole continent depend. These corridors, these surface currents, passing across the old border, are the true pillars of European cohesion. The routines of exchange, of coexistence, of everyday life in Europe perhaps depend more on these than on the decisions of Brussels, Strasbourg, Bologna or Lisbon. The cultural consequences of this “everyday banality” should not be underestimated. Europe is being reshuffled; it is getting its Romanian and Ukrainian communities in Naples and Barcelona, its Russians in Berlin and Stockholm, its ex-pat communities in Prague and Moscow. Quite irrespective of any EU accession negotiations, Istanbul is a European metropolis – one only has to go to the airports. Commuter traffic has long been crossing borders – one only has to stand at the check-in counter in Krakow before the flights to Dublin or Manchester are due to leave. Powerful forces are working to overcome the old borders; one need not be pessimistic there. The map that is emerging does not bear much similarity to the one on the classroom wall I grew up with: with the variously coloured nation states, with the provisional borders of postwar Europe marked either in thick or hatched lines. The new map is more reminiscent of early modernity, of the trade and pilgrimage routes, of the links between holy cities and routes of world communication. Periphery and centre, far and near – everything is being re-positioned. Even the most recent scenes of coming clashes are marked on this map of the new Europe: the London underground stations, the Moscow metro, the suburban railway station of Madrid-Antoch, where the bombs exploded. Marked on these most recent maps are the places where Europe is at its most vulnerable – in the public spaces of its great cities. As we know there was no “run” on the East in what until 1989 was called western Europe. Interest was modest, even in divided Germany. The case was quite different in eastern Europe. There one had always been more interested in what was happening in the West: in literature, ideas, fashions, but above all in freedom. 1989 was the great opportunity to take a look for oneself, and people set off, millions of them, on flying visits, on educational and investigative trips, to study, and then to find better-paid jobs. Eastern Europe caught up with what it had so long been denied: it was a large-scale movement of exploration. The same cannot be said of western Europe. Curiosity remained within bounds; at times, indeed, all kinds of fears dominated (of floods of job-seekers, the transfer of industries, growing criminality etc.). And yet nothing remains as it was. New experiences seep in, one has to re-orient oneself. Everything takes its time, but it happens inevitably, because “the West”, too, as a familiar region, no longer exists in the same way. Industry liquidation in the East was followed by industry liquidation in the West. The enlarged Europe is not the old “EU plus accession states” but a Europe which is put together in a different way, whose certainties are different, and which is beginning to see itself differently. The new Europe is something other and more than just the addition of east and west. In the half century of its division, Europe’s experiences were various and divergent. What one experienced depended on the accidents of geopolitics at the end of the Second World War. Socially, politically, culturally and mentally, European development diverged. Much that today seems new was, in the period before the world wars, everyday reality. This difference in experience produces different centres of historical interest, differing perspectives, a different sensibility with respect to different themes. It would be strange if that were not so. With respect to the recent past, there are different caesuras with different meanings. Whatever date one takes, different experiences are tied to it. We need only think of 1918, 1937, 1938, 1939, 1941 or 1945. And in the postwar period: how differently the dates 1948, 1953, 1956, 1961, 1968, 1981 or even 1989 are remembered. A particular experience and perspective is linked to each date. These different experiences cannot simply and on demand be summarised in a “pan-European narrative”. The annus mirabilis is the sign as it were of the return of historical memory, of the recovery of language and of the reformulation of national narrative. But the idea of the annus mirabilis, in which everything changed, is too crude and not quite accurate. There was no zero hour; instead, what had been in preparation for a long time came to the surface. 1989 was the result of a long incubation period, which again took a very different course in each “Eastern Bloc” country. Each country had its own experience of communism, indeed its own national communism, its own de-Stalinisation experience, its own climaxes, personalities and milieus. There are specific histories of discussion of the past which go back before 1989. And yet: 1989 was also a time of iconoclasm and toppled statues. Almost all the “historic moments”, of which there was such a wealth at the time, and which were brought to us live as never before, were accompanied or accentuated by monuments toppled and by monuments erected for the first time. In Moscow a Krupp crane, helped by rock climbers, lifted Felix Dzerzhinsky from his plinth in front of the Lubianka and a little later a stone block from the Solovky Islands, the Soviet Union’s first concentration camp, was set up on the traffic island in front of the building in which the secret police still has its headquarters. The insignia of the old power, the national anthems and the flags, fell and new ones were devised, or old, pre-revolutionary ones re-introduced. Cathedrals that had been blown up in a past iconoclasm were rebuilt in record time. Everywhere the return of symbols and ghosts that had apparently been consigned to history. The archives – the depots in which the memory of a society, of a nation is stored – were opened. A historical activity got underway that previously could only have been carried on abroad, “in the West”. It produced a flood of discoveries, publications of documents, editions of sources, which no one was any longer able to stop. The victims, whom until then no one had bothered about, at last got their names back, their faces, their dignity. In short, there emerged a space in which the normalisation of historical memory could take place. It was the golden age of reprints, the time in which a flood of memoirs, long held back or lying in drawers, broke free; a time of self-discovery, self-examination and self-description. Genres that had disappeared and withered re-emerged: biographies, descriptions of cities, maps of places that for security reasons had been suppressed. The dead were exhumed and reburied – such the victims of the crushing of the Hungarian uprising of 1956 or the great figures of Russian culture and scholarship who had died in exile. A movement of restoration began: palaces and churches that had been turned into shops or public toilets were returned to their original condition – often at the last minute. Eastern and central Europe was the principal theatre of the epoch of world wars and revolutions, of the new thirty years war and of the violence linked to it, a degree of violence which was in many respects unprecedented. This region of the continent found itself between the main fronts of the European civil war, between nationalism and communism, between German national socialism and Soviet communism. It was the principal theatre of the genocide of the European Jews, of systematic social and ethnic cleansing policies; the terrain of deployment of the greatest military machines, and of burnt earth; of forced population movements, of flight; and of a liberation that was to a great extent the replacement of one foreign occupation by another. There is no point on the map of this region, no family, no biography that is not marked by this double experience. This is the central zone of the “century of extremes”. This fact has not yet been understood everywhere in Europe. “War is war, occupation is occupation”, it is said. Yet there are different wars and different regimes of occupation, which are not the same; there are places from which there was no escape, in any direction. On the mental maps of Europeans from eastern and central Europe there are names that in the West often sound merely exotic – Trostinec, Solovky, Katyn, Vinnica, Babi Yar. Thinking these extremely different experiences together cannot be contrived with a momentary exertion. It needs time. There is no mechanical plan for dealing with history, there is no “German model”, such as some would like to export, since there are situations which are much more complicated than the German one. German and Soviet rule ensured that all processes are hopelessly interwoven and entangled. The internal developments in these countries have combined with interventions from outside in such a way that allocation of cause and effect, responsibility and guilt is extremely difficult. There is need of a special language to bring together the double experience of the mass murder of the Polish officer corps in Katyn Forest and the extermination policy of the German Einsatzkommandos in the Generalgouvernement. This is likewise true of almost all the other states that found themselves “in between”. The extermination of the Jewish population in Lithuania, Latvia and Estonia by German Einsatzkommandos and the mass deportation of a large percentage of the population of these countries by the Soviet NKVD belong together. To mention them in the same breath represents a historical experience and is not treating events as equivalents. Nor is it a trivialisation or a species of apologetics – at any rate not in itself. The dispute about the removal of monuments to the Red Army in Latvia and Estonia is an extremely complicated matter, so complicated that one would prefer it not to be touched on at all, because the time is not yet ready and there does not yet exist sufficient tact to do justice to all those involved – the soldiers of the Red Army, who gave their lives for the liberation from German occupation, and the Estonians who became the victims of a new occupation. There is nothing to be achieved by a culture of conditioned reflexes. One first of all has to listen and study an experience deeply before passing judgement and jumping to conclusions. A second example of the enormous degree of complication is the length of the period of Communist rule in the Soviet Union, which affected several generations. First of all, dying and death followed sequences about which there is very little idea. The victims of the First World War are forgotten, because they have always stood in the shadow of the subsequent civil war and the famines it produced. Then there are the hundreds of thousands, indeed millions of dead who lost their lives in the course of collectivisation and the deportations of the so-called “kulaks”. Not least, there are the half a million who were killed in less than a year in 1937 during the Great Terror. All this took place in the shadow of the catastrophe of the Second World War, which cost 27 million lives on Soviet territory – to say nothing of the famine of the first two years of peace. Despite Alexander Solzhenitsyn and Vassily Grossmann, there is no language that could bring all that down to a common denominator. For decades there was no space in which the names, the fates, and the faces could have been shown, could have found a hearing. There were many reasons for this silence: a regime that wanted to hear nothing about its crimes and was afraid of being called to account; the absence of a victorious power that could have organised a second Nuremberg; the shame of those sentenced as “enemies of the people”, who, on returning from the camps, were ashamed to talk about their suffering. But above all it is the complicatedness of the circumstances themselves. Many victims of the purges had been perpetrators in the forced collectivisation. Many who had risen during the purges were ground down in the mincer of the Great Patriotic War. Whole age groups disappeared from the cycle of generations. Many who “joined in” became victims of the system themselves – a situation that those whose gaze is fixed exclusively on the German disaster can hardly make sense of. I am in no doubt, that only when all those nameless millions are named, have a hearing, that only then will it seriously be possible to talk of a European memory. There are several epicentres of the European history of progress and suffering, and no one has the right to talk of one set of victims, but pass over the others in silence. 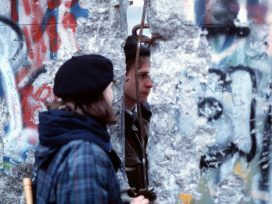 In a sense, Europe caught up with Germany in 1989; with the end of the division, Germans were released into unity. A history has moved closer to them, while they have moved into a network of relationships that they had destroyed and out of which they had catapulted themselves. Now the whole story was in full view – and the terrain on which it had taken place. 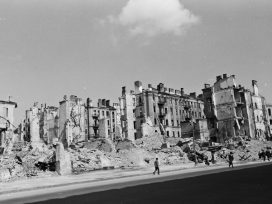 There was the history of destruction, but also a history before that; centuries and generations in which the Germans were taken for granted as a familiar part of eastern Europe. German history, which some see as a “long journey to the West”, has returned again to where it always took place, to the centre of Europe. With that return, old historical relationships have re-entered the German horizon. We can now see that there was a history before the history of the catastrophe, a history that few know and that is older than the nation and nationalism. It is one that is very much worth studying. The western Europeans who want to understand their European neighbours will not be able to avoid devoting attention to their experiences. That’s asking a lot and the danger of too much remembrance “far away and long ago” is obvious. There are simply limits to knowledge, to sympathy, to the capacity to think oneself into other worlds of experience. Even in Germany it took a long time before, in the shadows thrown by Auschwitz, the others were at last seen and acknowledged: the Poles, the Soviet prisoners of war, the forced labourers. European history does not end at the external frontier of today’s European Union. 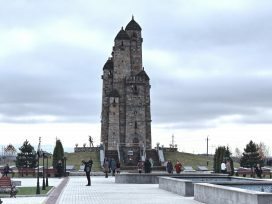 A memory that has no time for the victims of the terror in Stalin’s Soviet Union, that does not include the inmates of the Gulag, is in a certain sense selective, lacking in credibility and not very European. 1989 was the beginning of a tempestuous re-evaluation of the past – of the last 50 years, sometimes of the whole national history. It proceeded in different ways in each country, encompassing the whole spectrum from courageous and thorough reappraisal to re-ideologisation and new myth-construction. The debate took place at many levels: in struggles over monuments, street names, textbooks and schoolbooks; public controversies over dates, anniversaries and holidays central to the collective consciousness; the setting up of memorials and museums. Almost every country has its own dramatic high points and nodal points, its monument debate. Overdue reinterpretations of history were undoubtedly an issue; but just as often there were real struggles over the power of interpretation and the setting of political agendas. The disappearance of “blank spots” in one place was often linked to the appearance of new “blank spots” in another. And of course, it is not just a matter of issues of historical scholarship and knowledge, but of national or collective identity, of the validity or denial of a master narrative. 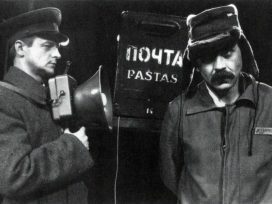 The discourse about the past is in many cases only the encoded and masked form of a contemporary political debate, a proxy struggle, conducted in historical costume. That makes it interesting and relevant, but also dangerous: disputes about historical questions are instrumentalised for current interests, often party political ones. How such controversies are conducted is a matter of political culture and also of historical culture, of ways of dealing with the past: soberly or polemically, heatedly or calmly; with pat answers or sensitively, as denunciation or with a concern to educate; nostalgically or with an awareness of the present. As always, it is not what one says but how one says it. A historical culture of that kind does not appear overnight; even in Germany, where there is such pride in what has been achieved in coming to terms with the past and in the politics of history, it took a while and was not without acrimony. Why should it not be just as long and difficult a process elsewhere? New, more appropriate, more “truthful” histories cannot be decreed, but are the result of quite complicated discussion. While the double experience of war and total rule undoubtedly shaped central and eastern Europe, this history was always history on location, in a specific place. Consequently there are specific discourses everywhere, revolving around particular “cases” – be they positive heroes or, more frequently, traumas. I hardly dare start to make a list here, which can be neither complete nor just. The debate on the Red Army monument in Tallinn, SS or, alternately, NKVD collaborators in Riga; anti-Jewish pogroms in Kaunas; the debate in Poland about Jedwabne and Kielce; the minorities issue and the treatment Germans or Hungarians after the war in the Czechoslovak Republic; the dispute over the memorial to Bandera in Lviv; the arguments over the “House of Terror” in Budapest; over the Sighet Memorial in Romania; the arguments in Russia over the opening of the archives, over the discovery of places of mass executions, over the “great national narrative” in the schoolbooks. 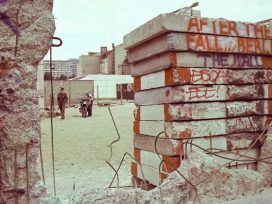 One could write a history of post-war Germany via the history historical discourses – from the debates on the Holocaust Memorial, the Wehrmacht exhibition, and individual books or authors like Grass to the question of the establishment of a central museum to commemorate the history of Germans expelled from their homes in eastern Germany and eastern Europe. How much remembrance do people need? There is a memory that fades: that is, one fed by personal experience, direct memory. It dies with individual men and women and is replaced by a memory and commemoration that is mediated. The time is coming when there will be no more unmediated memory. Those of us who were born later can never have the experiences that others have had, can never catch up with them. It is part of a culture of memory, as opposed to commemoration that has become routine, that it respects this distinction. To think oneself into the horizon of experience of another generation is not something one can take a crash course in, or that is a matter of well-intentioned exhortations. Rather, it is a question of education, tact, sensitivity. There is something wrong with a remembrance that is so concerned with the past that it forgets the present. Devotion to the dead that is not borne by respect for the living is somehow unconvincing. In addition to a forgetting of history, a familiar topic, there is also its counterpart – an obsession with history, an obsession which has the advantage that, temporarily at least, one can avoid the present. Sometimes it is easier to exist in the past, which is transparent and self-contained, than in the obscure present. One can hide behind a past that has been overcome and evade the infinitely complicated present, temporarily at least. When memory and commemoration become routine it is a sign that something is not right with memory. Memory and commemoration are in any case not available at will, not totally at the disposal of “strategies of memory” and “politics of history”, as is often assumed in the “memory discourse”. They have their own rhythm, their own dynamics. If it is true that every generation writes history anew, then that means there is no automatic transfer from generation to generation and that changed conditions find expression in forms of historical interest and conceptions of history. Naturally the conception of history of a generation which has not gone through war, nor through disputes with the wartime generation, but which is shaped by the new circumstances – a peace which has lasted a lifetime or immigration stretching across several generations – looks different. How much more true this is of the reorganisation and the complications of a new, modern sense of history in states that have emerged from the disintegration of a great empire. What will a modern, post-colonial, post-imperial national history look like, one that is appropriate to the true circumstances, which does not escape into national foundation myths? That is a very complicated question. A liberated treatment of the past is only possible in liberated societies. That is a cliché – but it’s true. There is no one history, but, since there are different perspectives and perceptions, there are also different interpretations. Access to archives, free publication of sources, independent historical writing and, above all, an independent public sphere are, while not alone sufficient, nevertheless important prerequisites. They are not an absolute guarantee against the creation of new myths and against re-ideologisation. However, at issue is not only freedom from censorship but something much more important. Appropriate remembrance and historical writing is based on an act of recognition of preceding generations. It is we, the living, who give the dead their voices – or refuse to; because they have fallen silent, they can only speak with our help. The relationship between living and dead is asymmetrical: we, the living, decide who is heard and who condemned to silence. Historical work is the work of making-present, based on recognition. But how can someone who does not respect the living acknowledge the dead? There is a relationship, therefore, between authoritarian behaviour in the present and an authoritarian or condescending attitude to the dead on the part of those born later. The authoritarian disposes of the past, has the power to define: for him there is the truth. An appropriate remembrance and a history-writing that comes as close as possible to the truth has its principal support, its biotope, in a civil society. That is where the skills are developed that are most beneficial to an appropriate history. Authoritarian conditions are hostile to memory. A mature historical culture and a civil culture belong together. The map of European history is being redrawn. There will be new entries on it, new points of interest. Lieux de memoire are not metaphors but real places. Every political metaphor remaps and recodifies the world, causes one layer to disappear and places a new sign system over the known world. Thus arise the culturally, semiotically and semantically complex texts that we deal with daily: landscapes, cities, public and private spaces. The landscape of Sturm und Drang industrialisation is a different one from the postwar landscape with its monumental ruins of iron and rust. Every great movement has left its traces behind and erased others. The period after 1989 is a great period of archaeology everywhere in eastern Europe: the houses where the ostracised poets were born; the monasteries that were turned into concentration camps; the sites of execution; the weathered camp complexes in the zone; the homeland from which one had been expelled; the routes travelled by the deportation trains. In short: Europe, as theatre of history, is literally being resurveyed. There is no shortage of attempts to develop a European history, a European historical narrative. Authors such Norman Davies, Geert Mak and Tony Judt5 stand for this strong need to see and understand how everything was connected on this small territory, this promontory of the Eurasian double continent. But such surveys are usually something of a bird’s eye-view: seen from too far away to serve as an integrative narrative in which the many conflicting experiences find a place. Nor can it exist – at least not for the time being. A narrative can never be ahead of the narrator, and there will only be a truly European narrative when something like a European horizon of experience has emerged. That is, not in the foreseeable future. The best that can be expected at present would not be a synthetic and probably rather forced narration of a common history, but the attempt to gain a hearing for the differing narratives. That is hard enough, indeed almost impossible, since it is also a history of insults and injuries. A history of unreasonable demands, a polyphony of histories, at times dissonant and painful. If Europeans could bear to hear these stories, their own stories, then that would be more than one can expect at the moment. What is urgently required is not a common history, but that the space in which competing interpretations and national narratives can be heard is not threatened. It would be quite pointless to talk about Europe today without talking about its strength, beauty and splendour; and not because we absolutely need a happy ending. To work on Europe without also acknowledging its unsurpassable riches, its differences, cultures, languages, works of art would be to invite failure. The twentieth century, in which Europe laid waste to itself and lost its position in the world, is only one layer. It is time to uncover others as well. There are a couple of routes that make us aware how far Europe had once already got, that there existed a degree of condensation, of cohesion that to us, the offspring of the twentieth century, appears amazing. Such routes included art nouveau and bourgeois society in the fin de siècle – not only Vienna and Brussels, but also Riga and Oradea. Industrialisation and globalisation before the epoch of the world wars: the textile and metal factories in Lodz and Petersburg. Multi-ethnic societies before the era of “ethnic cleansing”: Trieste, Salonica, Lemberg, Vilna. The magic of modernism, amidst authoritarian Europe: Brno/Brünn, Bucharest, Warsaw-Mokotow. But one can go even further back and follow the trail of the Hanseatic League, which was able to create a visible connection between places that has survived even the catastrophes of the twentieth century. But a Europe that was only a project of memory would be lost, a reservation for the elderly, a kind of theme park or doll’s house for global tourism. Everyone who takes a look round Europe knows that it is pulsating, working, functioning across yesterday’s frontier, almost as self-evidently as if there had never been a division at all. This text is based on a lecture given to mark the opening of the annual conference of the German Society for Eastern European Studies on 6 March 2008 in Leipzig. This text is based on a lecture given to mark the opening of the annual conference of the German Society for Eastern European Studies on 6 March 2008 in Leipzig. The lecture takes up ideas I have developed in "Europa neu vermessen: Die Rückkehr des Ostens in den europäischen Horizont", in Helmut König et al (eds. ), Europas Gedächtnis. Das neue Europa zwischen nationaler Erinnerung und gemeinsamer Identität, Bielefeld 2008, 147-167. The border checkpoint at Helmstedt-Marienborn in Saxony-Anhalt was the largest and most important crossing on the inner German border during the division -- ed. Cf. Karl Schlögel, Promenade in Jalta und andere Städtebilder, Munich/Vienna 2002; Marjampole oder Europas Wiederkehr aus dem Geist der Städte, Munich/Vienna 2005. The study by Julia Obertreis was the first to remedy matters. See Julia Obertreis, Tränen des Sozialismus. Wohnen in Leningrad zwischen Alltag und Utopie 1917- 1937, Cologne 2004.